Find out whether we can process your Fairtrade application by filling in our simple form below. The official application questionnaire will follow shortly via email. Thank you! Once you have applied, you will receive an application ID. Please use it for all communications and payment identification. The application process takes an average of two weeks, and is only completed once you have submitted all required documents and we have received your application fee payment. If you need an invoice for the application fee, please let us know. Find out what Fairtrade certification costs for your organisation with our Cost Calculator. Upon successful completion of your application process we schedule an initial audit or grant a temporary "Permission to Trade" if you are a trader. Refer to our Compliance Criteria page to find out what will be checked during an audit. In addition to the generic Fairtrade Standards, specific additional standards by product might apply. After receiving the initial audit the certification process timelines are explained in the Certification SOP you’ll find below. You can only trade your product as "Fairtrade" if you have a valid "Permission to Trade" or hold a valid "Fairtrade Certificate". However, you can sell products as Fairtrade if they are still in your ownership and harvested 12 months prior to receiving a valid "Permission to Trade" or "Fairtrade Certificate". If you would like to use the Fairtrade Mark on your product, please contact the Fairtrade National Organisation active in your country or Fairtrade International at license@fairtrade.net. In Fairtrade, the entire trade chain (producers, importers, exporters and brand owners) must be Fairtrade certified. Individual small producers are not eligible for Fairtrade certification; they must be members of a Small Producer Organization (SPO). As a certified SPO, you are allowed to export your production directly to an importer, but if an SPO wants to export for other certified organisations 15% of the total invoice will be included in the Certification Fee. What kind of assurance service are you looking for? If you are interested in the service and already have a contact partner in your National Fairtrade Organization please get in touch with this contact. In case you do not have a contact partner yet, please fill in the form below. What would you like to do? Please choose all options that apply to you! We grow agricultural products, mine minerals or manufacture sports balls. 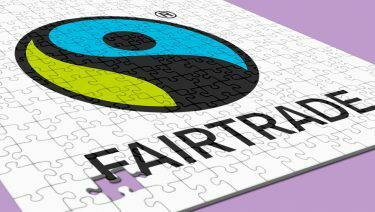 We would like to buy Fairtrade products from other organisations or companies. We would like to sell products with the Fairtrade mark on the packaging. Which products would you like Fairtrade certified? Choose all products from our product list below; or use our search function or type in the product, if you can't find it. Organisation name(s) - FLO ID of organisation(s) - If known. What is the set-up of your organization? We are a small producer organization; the majority of our members are small producers. We are a plantation, an estate or factory. We are mainly depending on hired workers. We are an artisan small-scale mining organization. Our contract production is a cluster of organized or unorganized small producers that are supported by a trader, company or NGO. What is the annual global turnover of your organization? Below 2 Million EUR (approx. 2.4 Million USD). Between 2 and 5 Million EUR (approx. 2.4 - 6 Million USD). Above 5 Million EUR (approx. 6 Million USD). Does your organisation have processing plants? How many processing plants (e.g. pack houses, mills, storage facilities) does your organisation have? Do you make use of subcontractors in the production of the products you wish to have Fairtrade certified? How many subcontractors does your organization use, in the production of the products you wish to have Fairtrade certified? We're here to support you. 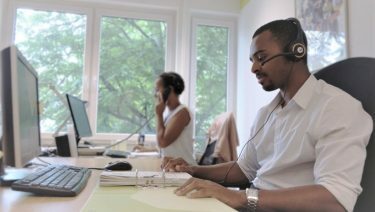 Don't hesitate to contact us! What are the costs of your certification? Do a mock audit and find out if you are ready for Fairtrade certification!